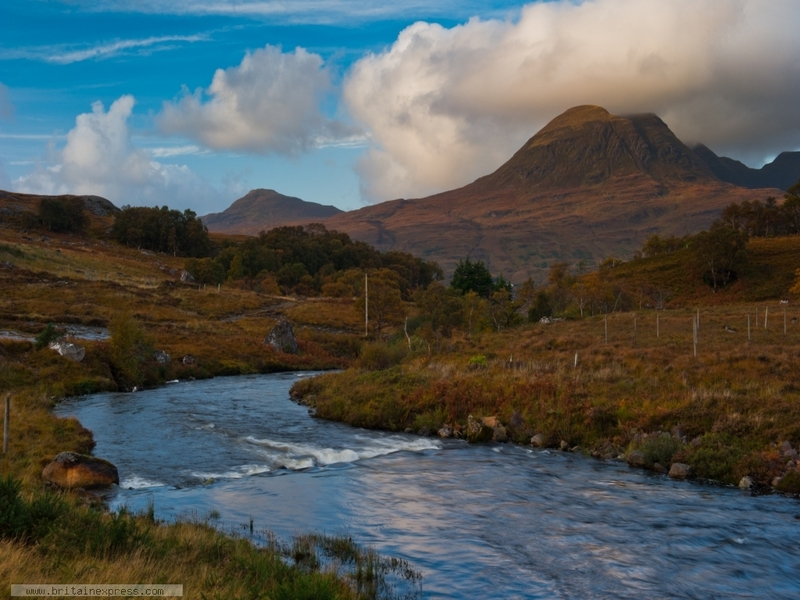 I was actually on my way somewhere else when I came around a bend on the A896 near Annat, and found this view down the placid River Balgy towards Loch Torridon and the soaring peak of Beinn Alligin. Wow! I just had to stop and photograph it.